Every business in today’s competitive business environment needs to spend their budget wisely. There is simply too much competition out there to recklessly spend money, and that’s true no matter what industry your business is in, or how big or small it is. However, when it comes to commercial window cleaning, the question is not, “can we afford to hire a professional window cleaning company?”, it’s, “can we afford not to hire a professional window cleaning company?” Because the reality of the situation is that hiring the experts for your window cleaning needs can actually help you save money! 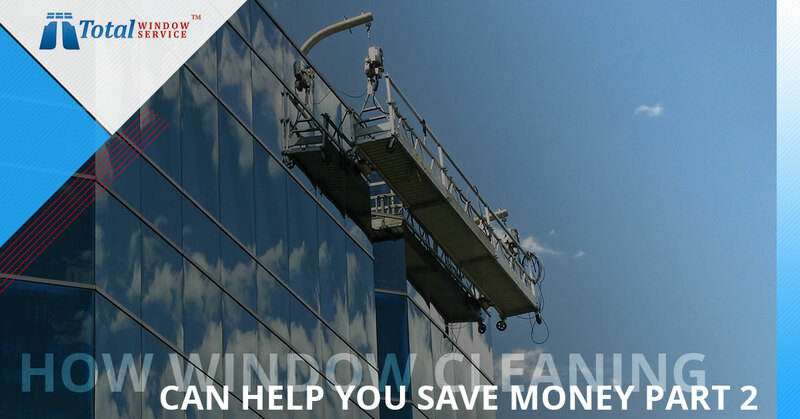 In our last blog, we touched on a few ways that commercial window cleaning can help you save. Keep reading to learn more. #4. You’ll increase the life of your windows. If you think window cleaning is expensive, it’s nothing compared to what you’d have to pay to actually replace your windows. And luckily, window cleaning actually helps to make your windows last longer. One way this is accomplished is because professional window cleaners know how to spot signs of trouble in windows, and they can alert you to necessary repairs and maintenance issues. Additionally, when you let dirt and grime sit on your windows, it can actually damage and degrade them, further reducing their lifespan. #5. 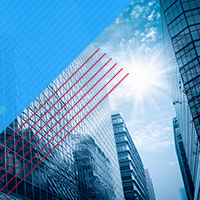 You’ll enhance the safety of your building. When you work with our team, while we clean your windows, we’ll give you suggestions on which of our other services would be beneficial to you. Here in New York City, it always pays to play it safe. Luckily, it’s easy to enhance the security of your building by simply adding safety window film to your windows. At Total Window Service, we offer some of the best safety window film in the industry, protecting your building from anything that can cause your windows to shatter, including trees, weather and even intruders. Do you struggle to keep your windows free of graffiti? If so, Total Window Service is here to help. Not only can we clean and restore windows that have been graffitied back to their original, spotless and sparkling glory with our window cleaning and restoration services, but we can help to prevent your windows from getting graffitied in the future. How? With anti-graffiti window film! This heavy-duty film protects your windows from both etching and graffiti, and replacing it costs a fraction of the cost of restoring or replacing the window. No matter how incredible your products or services may be, what really makes a company is its employees. If your employees are not as productive as you’d like them to be, window cleaning is, surprisingly enough, an affordable and effective way to improve performance and productivity. How? Because of the sunlight! When you’re windows are clean, you can proudly throw open the curtains or roll up the blinds, allowing that natural, beautiful light to enter the building. More exposure to sunlight means increased sleep quality, which also leads to a better performance. Additionally, relying more on natural light and less on artificial light could also help you save more money on your electricity bill. Some companies see commercial window cleaning as an unnecessary expense, but the fact of the matter is that it’s an investment that can help you save more money in a plethora of ways! Are you ready to start saving money with professional window cleaning? If so, turn to Total Window Service. Our rates are already competitive, and you can save even more on our services with our discount opportunities. Start saving today! Contact us for your free commercial window cleaning estimate.